Ghostwriters have been used throughout history as speechwriters by politicians, as lyricists by musicians (Frank Ocean began his career as a ghostwriter), and as writers and editors for novelists and academics. The written word plays a fundamental role in most professional spheres, and if you don’t have a knack for it, that shouldn’t mean you get left behind. Ghostwriters can be a valuable resource, as they are not only skilled and experienced writers, but should also be able to take on the role of developmental editors, working with you to help shape your text as you write. If you can find a ghostwriter that works well with and for you, you can save loads of time and money — a huge benefit to any academic, novelist, blogger, or self-publisher. You can hire a ghostwriter to take on a variety of writing tasks, from helping you write and polish a novel or memoir, to helping you craft blog posts or business reports. The benefits of hiring a ghostwriter are manifold. You might have brilliant ideas and a good style, but a ghostwriter will have the know-how to turn your vision into a well-structured text while assisting with research and fact-checking. It’s like having a writer, editor, and research assistant on hand throughout the whole process. It is important to ensure that the ghostwriter you hire is right for you. Beyond the basic skills you should look for in any ghostwriter, you will also need to think about the specific needs of the project you are working on. Look for someone who has experience writing or ghostwriting in your genre or field. If you want to write a memoir, for example, don’t hire someone who has a background in writing business reports. Your ghostwriter should suit your individual needs. Of course, to make a good fit, you and your ghostwriter should get along. Make sure this is a person you are comfortable working with, and someone you can trust to make your work the best it can be. You will need to spend time discussing and developing the tone of the work together to ensure that you are both on the same page throughout the process. If you have hired a ghostwriter to help you with an academic dissertation, you will need to make sure that they are familiar with the jargon and register of your field; otherwise you could waste valuable time catching them up. A good ghostwriter should be an asset to your process, helping you produce work of a world-class standard. 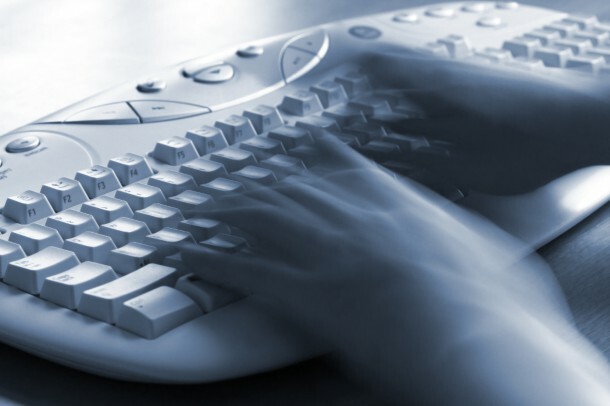 What kind of experiences have you had working with a ghostwriter? Robin Field is a Linguistics Masters student from South Africa who specializes in language and gender in digital media.